What are the list of emails that get sent in my referral program? 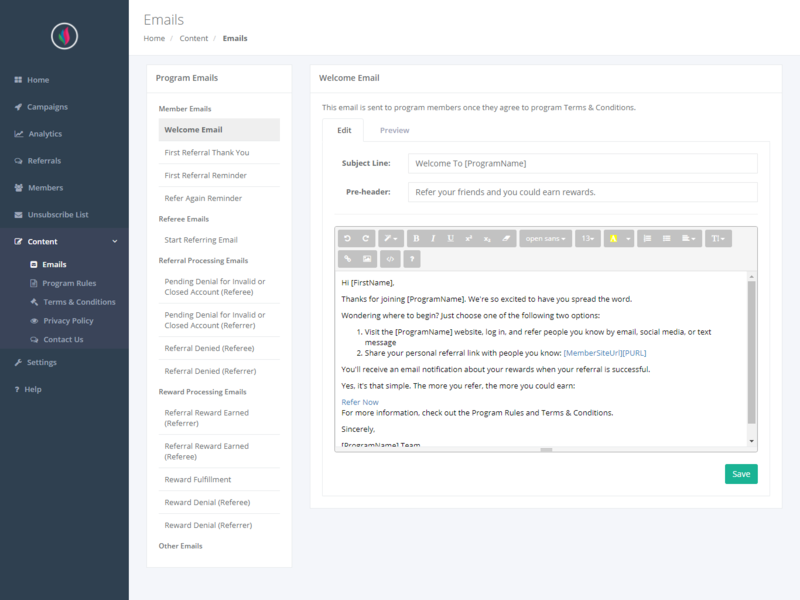 RewardStream sends a variety of system emails that range from welcome emails, reminder emails, referral emails, instructional emails, and reward notification emails. For a full list of system emails and their descriptions in your referral program, log into your Portal, click on Content, and click on Emails.